jboss-cli is Command Line Interface management tool for a standalone server or a managed domain. 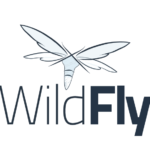 It is available in the bin directory of unzipped WildFly distribution and allows a user to connect to a standalone server or domain controller and execute management operations. jboss-cli can be used to deploy applications using the interactive console or in a non-interactive manner. In this post, I will show you how to install applications in WildFly application server using jboss-cli.